A MINISTER for Justice who slept with a gun under his pillow, the very nemesis of Charles Haughey and the founder of a political party that exercised influence way beyond its size throughout the 1980s and ’90s, Des O’Malley wasn’t struggling for material for his book Conduct Unbecoming: A Memoir. 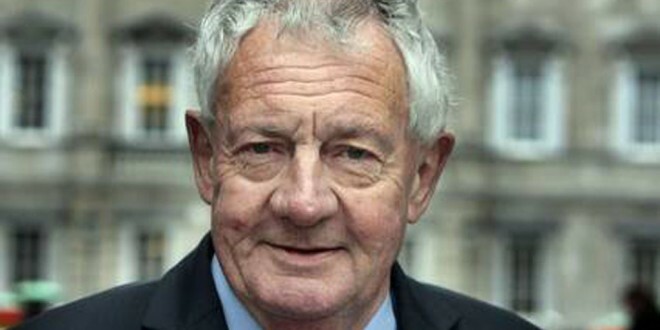 Much of O’Malley’s career was defined by his enmity with a certain former taoiseach, an era that was revisited in the recent RTÉ mini-series, Haughey. O’Malley feels it was a relatively fair exploration of the time. One thing in the TV show that did not actually happen was O’Malley using a sword to protect Jim Gibbons, he says laughing, but he was pleased with the generally sympathetic view of himself presented in the programme. What might be called the Haughey era is now generally viewed as a time of unparalleled corruption. O’Malley is quite blunt in stating that the popular view is quite correct. While there might be a view that society, generally, moves in the right direction, he feels there was a serious regression during his own career, with Haughey and his acolytes behaving in a way that would not have been acceptable under other post-independence leaders. He shares the view that Haughey had a lot of ability, which he largely misused. A target for the Provos, O’Malley had to spend a number of years with round-the-clock security and was trained in using firearms. When he was in Limerick during that period, one of those who guarded him was Garda Jerry McCabe. “Himself and Ben O’Sullivan used to come around with me for five or six years when I was in Limerick; I had different people in Dublin, of course. They drove me a lot and I got very friendly with the two of them, that’s why it was such an awful shock to hear when McCabe was killed and O’Sullivan was nearly killed; in fact, so near that I think he still has a bullet in him that they’re afraid to take out because they think it might do more damage if they did. Less than 20 years later, opinion polls show Sinn Féin as being the most popular party in the State and Gerry Adams, party leader then and now, is being talked about as a possible Taoiseach. When O’Malley set up the PDs after being expelled from Fianna Fáil, it was the biggest game changer in Irish politics for many years. Within two years, they were in power, holding 14 seats. The party continued to wield influence throughout the ’90s and the ’00s, holding seats in Cabinet through coalition with Fianna Fáil. Its subsequent disappearance was an obvious disappointment to him but he believes it had brought about the changes that he had hoped it would. While he is proud of what the PDs did, he feels there is no chance of a new party making anything like the same impact now because of how politics is funded. Private funding of parties is quite restricted, while most of the money now comes from the exchequer, under a system that gives an advantage to the established parties. * Des O’Malley will be part of the Ennis Book Club Festival’s Sunday Symposium at Glór on March 8 at 10am. Entitled Politics and Pathology – Life Inside the Political Tent, it also includes DCU’s Dr Gary Murphy, RTÉ’s Katie Hannon and The Irish Examiner’s Mick Clifford. It will be chaired by Caimin Jones.